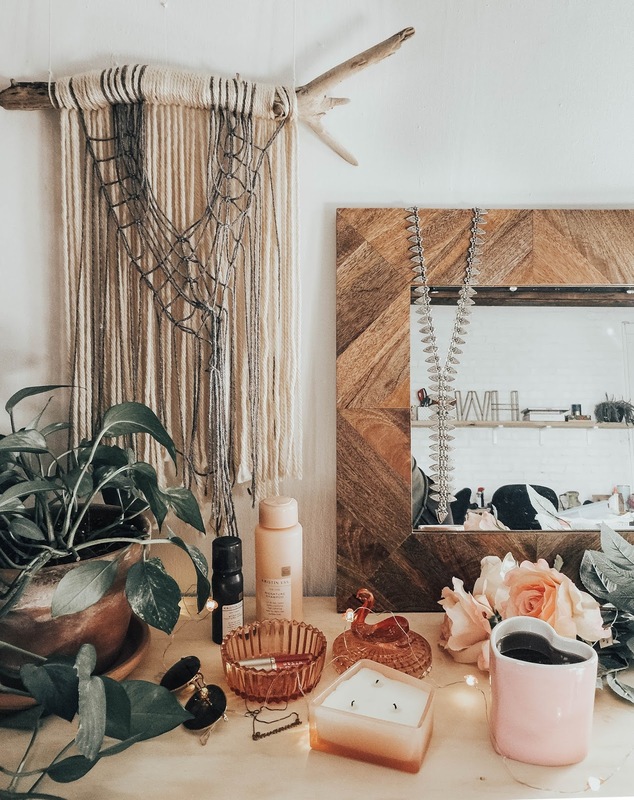 Last week we talked about how you could spend 48 hours in Nashville with your besties, and this week we are sharing ideas on what gifts you could get them! I know I always have a hard time knowing what to get Casey for her birthday and Christmas even though I'm with her all the time. You'd think I'd know what she likes. But these 11 gifts below are all fun ideas for a good friend in your life. Most of them are things we use and LOVE! We love us some clear mugs for holidays. We have some for Christmas that we found at a thrift store a couple years back. When we saw these we knew we had to add to our holiday mug collection. I am obsessed with the 'best' color of this liquid lipstick. It's the perfect shade of red and it would work on anyone! I first saw this on a friend and I immediately grilled her about exactly what she was wearing on her lips. Now it's my #1 go-to red. Also, I purchased mine in a gift set so I could try out another color at the same time and I bet your friend would love to have a couple options too! If you don't already know our obsession with Paddywax candles- we have an obsession with Paddywax candles. We recently received this scent at a Galentine's Brunch and fell in love. I keep saying this, but it's the perfect blend of a man smell and a girly smell and you just can't ask much more of a candle than that! Speaking of scents, the smell of this shampoo and conditioner is fabulous. I purchased this as soon as Kristin and Target released it and I fell in love. I really can't get over the beautiful smell. Have you heard about Girlfriend Collective leggings? I've heard people talking about them since they were released and there was a resounding love for them. We got to try them out for our Galentine's Staycation and people weren't lying- they are amazing! They hold you in in all the right places, a.k.a. they are flattering, and they are comfortable. Plus they come in fun colors with matching bras. Ladies love a good set. I know, I know... We have TWO mugs on this list. We really have a thing with mugs. But it's a heart shaped mug. A HEART SHAPED MUG. Enough said. I've always wanted one of these baskets and figured my bestie might want one too. Actually, I think she really does want one, so it made it on the list. We thought this necklace was cute and an easily personalized gift. I'm not usually a fan of initial things, but this one is done right! 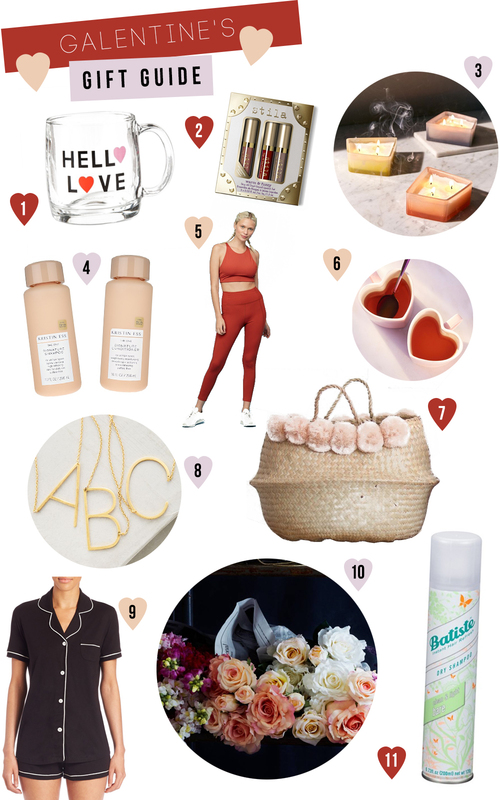 These are another product we got to try out for our Galentine's staycation and we love them. Who doesn't love PJs? The fabric is soft and they come in shorts, pants, long sleeves, dresses... what I'm trying to say is that there are many options. And they are soft. I don't think my words could ever do these flowers justice. They are SO realistic. Forget giving a bouquet of real flowers this Valentine's Day, these guys will last forever! Okay okay, I love real flowers and don't ever stop buying them and giving them to people! But these stems are a really great permanent option. They even feel like real flowers. We all know the importance of dry shampoo. This one is our tried and true favorite. Hands down! We hope this post can be helpful for you this V-day. If you liked this post, please pin an image from the post to your Pinterest page or leave us a comment! We'd love to hear what you would want to receive for Valentine's Day.